The most important purpose of chiropractic care is the correction of nerve interference. Nerve interference promotes sickness and disease, decreased performance and improper functioning of all body organ systems. If the nerve flow is disrupted because of nerve interference, chemical imbalances occur, and the body will function less efficiently. Proper nerve control is essential for all body functions, including all organ control, immune response, muscle control, and chemical and hormonal balances. The obvious outcome of the chiropractic adjustment may be a relief in symptoms, an increase in performance, or an overall sense of better well being. The true outcome of the chiropractic adjustment, however, is that the body’s nervous system functions at 100%, and the outcome of that is a better, healthier life from the inside out! From the very first experience of childbirth, the infant is put under extreme stress, as they pass through the birth canal. It is a completely normal process, but it is inducing mini-trauma to this young life. The birth process causes a twisting and collapsing of bones that allows the baby..
From the very first experience of childbirth, the infant is put under extreme stress, as they pass through the birth canal. It is a completely normal process, but it is inducing mini-trauma to this young life. The birth process causes a twisting and collapsing of bones that allows the baby to pass through the birth canal. In many cases, this normal motion of body collapse returns back to its normal position. In other cases, the natural and normal bone re-positioning does not happen. This trauma/stress can cause seizures, colic, constipation, and many other conditions. It is in these cases that it is vital the proper alignment is induced for healthy, normal body development. If these abnormal changes are never corrected, the body develops and molds into improper positions, and the nervous system cannot function at 100%. A chiropractic exam on a newborn consists of gentle palpation of the spine, cranium, and extremities to see if any subluxations are present. If a subluxation is present, a gentle, non-force, direct pressure on the area is applied to allow the body to rotate back into its proper alignment, and the proper nerve supply is restored. A routine chiropractic exam of your newborn is an important part of giving your baby the best possible start to a healthy life. The early years of a child’s life, from toddler to teenager, are an extremely active time of life. It is a normal thing for a child to be very active, and, in turn, to place many stresses on their growing and building bodies. 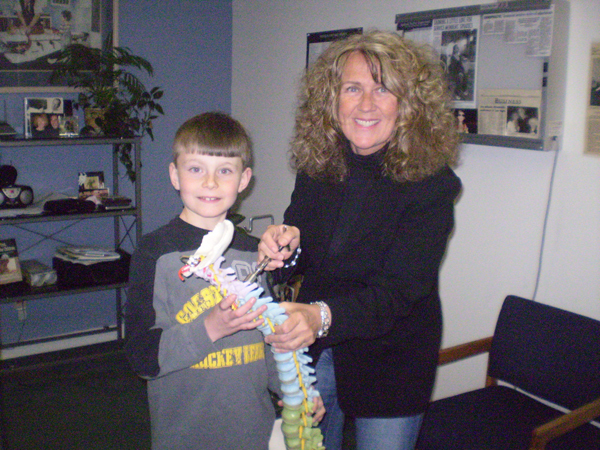 The falls off bikes, out of trees, on the sports field..
By maintaining the body free of subluxations, the child’s nervous system is able to function properly. This, in turn, will allow the body to have a better chance at having a strong immunesystem (decreasing illness and disease), preventing injuries and building a strong and healthy body! In your quest for improved health and quality of life, Chiropractic care can play a vital role. And did you know that Medicare and many insurances include coverage for Chiropractic care, and that Chiropractic has been shown to be effective for a variety of physical complaints.. 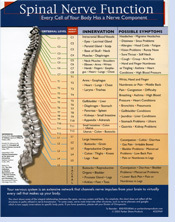 In your quest for improved health and quality of life, Chiropractic care can play a vital role. And did you know that Medicare and many insurances include coverage for Chiropractic care...and that Chiropractic has been shown to be effective for a variety of physical complaints - ranging from headaches and neck pain to arthritis, digestive problems, breathing problems and much more. Vertebra out of alignment (subluxation) irritate nerves going to all body parts. Gentle chiropractic treatment (adjustments) helps re-align bones and gives relief to many aches and aliments. Hips, lower back, sciatica, knees, feet and restless legs \ have responded favorably to such treatment. Many people have found that regular Chiropractic care actually helps to keep them feeling so much better that they can live more active lives and use less prescription medication. Chiropractors are the only type of physicians that are trained to locate and correct spinal and other bone misalignments. People benefit in so many positive ways: improved sleep, breathing, muscle function, joint stability and flexability just to name a few. Circulation for limbs has been a PLUS for many seniors. So with all of these advantages, it just makes sense to have your spine checked out NOW to improve your maximum health potential. Healing thru Chiropractic is about adjusting spinal subluxations. Healing thru Chiropractic is about adjusting spinal subluxations. Unfortunately, you don’t even know if you have subluxations. 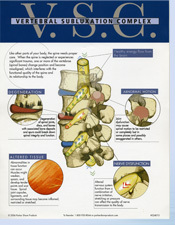 It takes a D.C. – Doctor of Chiropractic – to examine your spine, to determine if subluxations are present. You may be symptom free so to speak, yet have a very subluxated spine, and that is very damaging to your body and health. So, should your family be checked for subluxations? Absolutely, of course. Any time subluxations are present, it is a negative thing - any subluxations that get corrected by Chiropractic adjustments - that is a very positive thing. · Every thought you think affects every cell in your body. · Every thing you eat/drink affects every cell in your body. Every time that you receive an adjustment to a subluxated (misaligned vertebra) spinal segment, the body gets more LIFE FORCE, nerve supply, energy, which directly improves all bodily functions. So, an increase of this innate vital life force – energy can make sick areas function better and heal. That which we call sickness or illness is really Dis-Ease. The more life force the body receives – with each and every Chiropractic adjustment the more health you will experience – the more your spine gets adjusted, the better your body can function. It’s not about symptoms always; it’s about increasing health potential, increasing life energy from the brain to the body. 3. or adapt, be strong, and rise above it. Do not waste any of your precious energy on things you cannot change. Every thought you think fills in the blank, “I am _____.” Every thought you think affects every cell in your body.